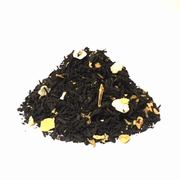 A delightful refreshing black tea blend with lemon pieces. Terrific hot or cold. No sugar or sweetener added.